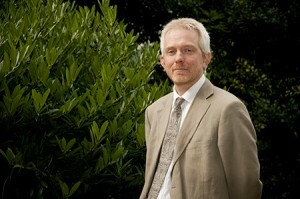 Professor Jon Cole is the group lead. His main areas of interests are conflict psychology, temporal psychology, decision making, and prevention science. Jon did his PhD on the psychopharmacology of animal defensive behaviour as a model of human anxiety. He subsequently worked on the temporal psychophysiology of aggression and territorial defence in animals. From this foundation he then focused on the impact of social stress (aggression and dominance hierarchies) on drug and alcohol consumption. Expanding this work out of the laboratory into the real world, Jon has also worked on the long-term cognitive impacts of stress and controlled drug use. Returning to his roots in experimental aggression research Jon began working on the simulated armed confrontation as a novel method of studying human defensive behaviour. Jon has been working on prevention for many years. He is co-author of Martyrdom: Radicalisation and terrorist violence among British Muslims. The Identifying Vulnerable People (IVP) Guidance was developed for the Office for Security and Counter Terrorism from that initial research in 2008/9. Since then he has been researching online radicalisation and how violent extremist groups and individuals use the internet, in particular social media. During this work numerous examples of criminality were identified and decisions made with help of the IVP guidance resulting in successful criminal proceedings with a range of different violent extremist groups present in different communities in multiple countries. As a result multiple international organisations are now utilising the IVP to help them identify individuals who are vulnerable to recruitment into violent extremism.